"In other years, they've had buggy racing and races like four or five times a week," he says. Fairmount stopped harness racing in 2000, which is when track president Brian Zander says they really started to feel competition from the new riverboat casinos in the region. And the problems have continued. There is less prize money to offer and fewer races are held. The tracks are facing competition not only from casinos, they say, but also from video gaming parlors. The tracks have lobbied unsuccessfully for years to get slot machines or other betting games approved by the legislature. They say it would make them better able to compete with other forms of gambling and tracks in other states. Now, some racetrack owners are looking at a potential solution they say could keep the industry afloat without trying to get it through the legislature, which has been a hurdle in the past. Zander and the executives at the Hawthorne Racecourse in suburban Chicago have asked the Illinois Racing Board, the regulatory body for the industry, to look into what's called historic horse racing. It's a form of video gambling on past horse races. The names of the horses are withheld and bettors gamble based on odds given. Zander says he feels like it's one of the few options left. 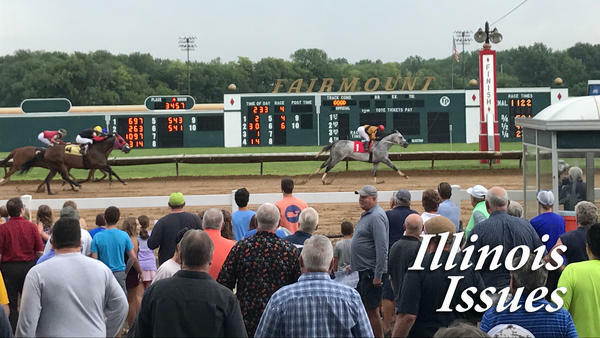 "We've had to kind of look internally and see if there was something that we could do because otherwise if we can't stem the loss of horses that are leaving Illinois to go to race and in other states that have slot machines," he says. The money that would be gambled at slot machines or historic horse racing terminals could be added to the purses being offered, the argument goes. And bigger prizes would attract more competitive trainers and jockeys, boosting attendance and revenues at the tracks. The proposal for historic horse racing is still in the early stages. The Illinois Racing Board agreed to draft some rules this summer. And it could take a few months before anything is voted on. But the idea faces some opposition. Critics say this is an expansion of gambling and only state lawmakers have the power to do that. "It's just an end run around the legislature and, and we don't think this is right," said Anita Bedell, executive director of Illinois Church Action On Alcohol and Addiction Problems. "We don't think the board has a statutory authority." A similar strategy was tried in Texas unsuccessfully . The racing board there drew up its own rules on historical racing in 2014. The rules led to a battle between lawmakers and board members, including threats of pulling funding from the state agency, which would have shuttered the racetracks. The Texas racing board eventually repealed its rules in 2016. Beyond legal concerns, Bedell says historic horse racing games look a lot like the slot machines the industry has been lobbying for for years. "There's a little window that you could watch a past race, but you can override that and most people don't watch the race," she said. 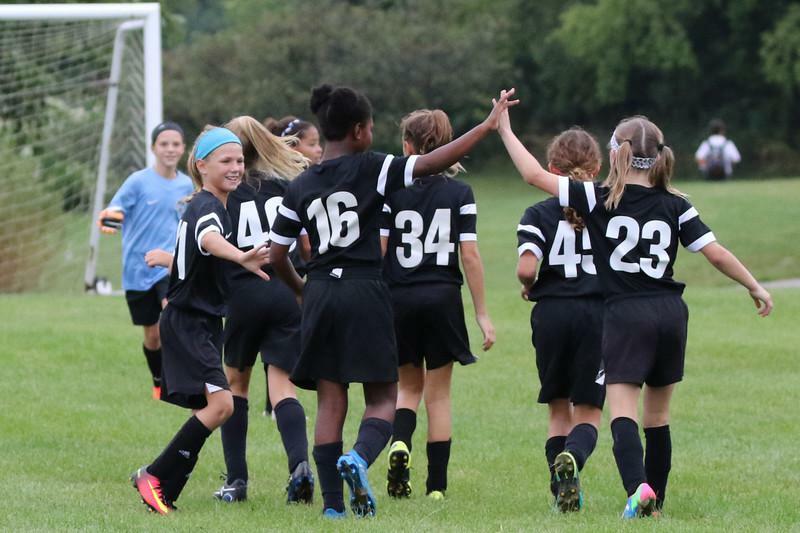 "They just bet on the machine, like a slot machine." A video of a historic horse racing machine in Kentucky shows a demonstration of how the machines work there. Jeffrey Brincat, chair of the Illinois Racing Board, says it might be too early to judge what machines could look like. He was on the committee that researched the legal issues of historic horse racing or HHR, and he defends the board's decision. "We're faced with trying to do what we can from a regulatory point of view to help this industry help us survive, not flourish because HHR will not cause anyone to flourish here in Illinois." In his view, the move is essentially a bandage until state lawmakers allow slot machines or other forms of gambling at the racetracks. Lawmakers met in Chicago this week to talk about gambling expansion proposals, including those slot machines. But nothing is likely to move forward until after the November elections. 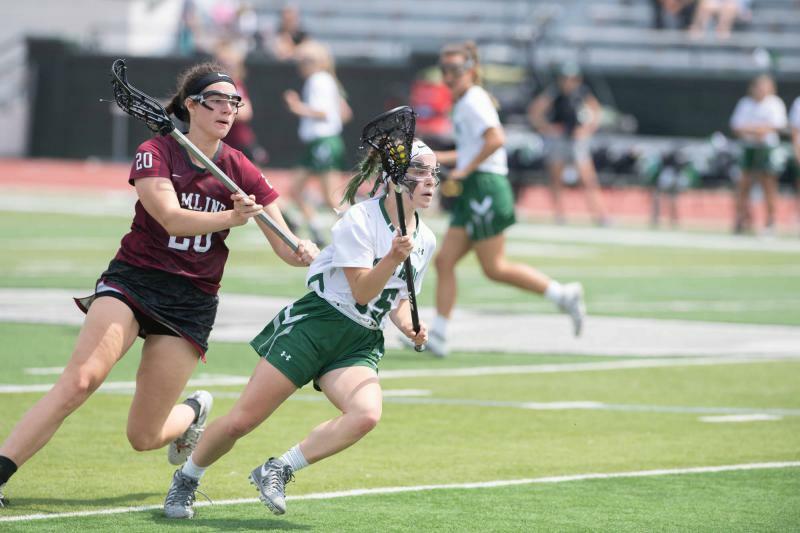 Lacrosse is a Native American game that began to penetrate colonial society in the 1630s. Its present form originated on East Coast in the 1700s. 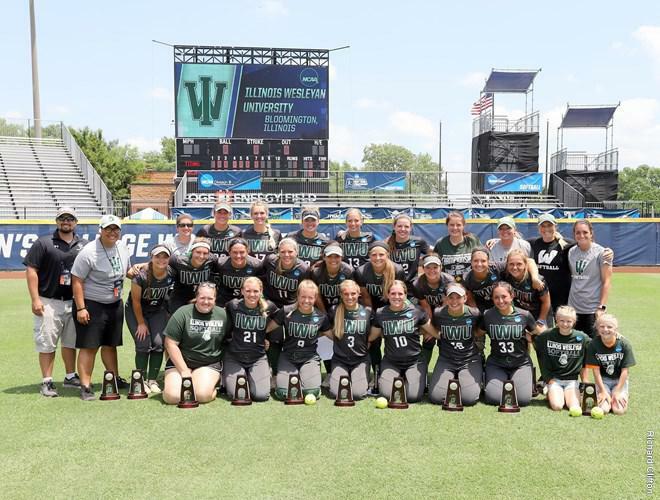 Illinois Wesleyan University's softball team has finished second in the nation in Division III.